Emenike Emmanuel is a business blogger, a freelance writer and coach, a social media strategist and the CEO of Entrepreneur Business Blog. He’s the Lead Coach of The Excellent Entrepreneurs’ Network (TEEN) – and the author of Activating the Ministry of Angels. Are you wondering why no one cares to read your blog posts despite all your attempts to share it in multiple groups you are a part of? Would you like to become a guru in writing blog posts that trend all over the internet? Do you want to know some of the grievous mistakes you are making that is robbing you of massive traffic? And would you be willing to apply these strategies of writing blog post titles and headlines experts are using to grab attention to themselves in a crowded internet market? If your answer is yes, then I encourage to pay rapt attention to this article. I know what it feels like to write spend hours writing blog posts only to be shocked that no one read them. It can be very horrible and devastating. You may have the right content full of insights but until people reads it, you have practically achieved nothing. In fact, with a poorly composed blog post title it becomes even difficult to get them to take action. This is very important. And that’s why top bloggers give so much attention to their blog titles and headlines. When consulting for bloggers on search engine optimization (SEO) one of the first things I do is to analyze all the already written blog posts. I have mastered this so well that only by retitling blog posts I can double any site traffic. Most top internet marketers won’t tell you this, but that’s one of our secrets for decreasing bounce rates. The better your blog post titles and headlines, the more time people will stay on your site – navigating from one post and page to another. In this journey, I have discovered that most people don’t click on blog titles that don’t excite them. Therefore if you want to generate massive traffic to your blog then you have to consider optimizing your blog titles and headlines for search engines. 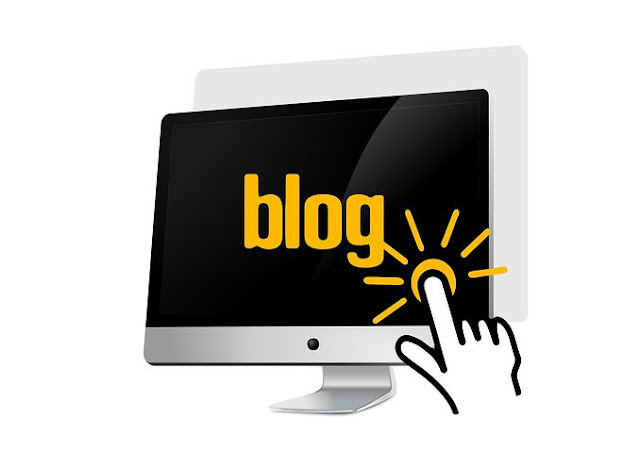 For several reasons, top bloggers do adequate blog post planning before forging ahead to write an article. Top in their list is to write a killer blog post that goes on to trend and are easily discoverable on the internet. In case you want to downplay on the importance of writing a killer blog post title and headline let me tell you why you shouldn’t. Is your blog post title taking your potential readers by the shoulder into your content? If not, why not? This is exactly what your blog post title should be like, a hook. It should be so creatively optimized that it will be very difficult for anyone who stumbled into it to pass without clicking to read. Failure to get this straight means that your potential readers will consistently land on your homepage and never click on any article because it doesn’t excite them. It’s true you shouldn’t write for robots but of what value is it to spend hours crafting a powerful content only to sell it to the audience with a messy title that doesn’t relate and can never pop up on search engine? I’m sure you will agree with me that it is not worth it all. Before settling for any title or headline you must put into consideration keywords or phrases you would want that very article to rank in on Google. Take this publication as a case study: it will likely show up on Google when a search on “How to Write Blog Titles” is made. In business, you place customers first and in writing, you put readers first. It is as simple as that. Nothing more, nothing less. You must learn this as fast as possible if you desire to growth hack your blog traffic, affiliate sales and general online business profit within a short period of time. Your readers are the basis for which you are there as a writer or a blogger. You can’t continue the usual way of serving a handful of readers, most of who you must beg before they read your article. Therefore you must make sure your post title and headline are captivating, emotional and solution-driven. It doesn’t require rocket science to figure out and master how to write an effective blog post title and headline. Sometimes it may require a sort of A/B Testing to conclusively come to terms with what resonates with your target audience. How did I know? I published an article that shows 5 Simple Tasks Top Bloggers Do Daily to Grow their Blog and within a very short period the post had outranked other posts that were there before it. How was I able to achieve this? Hold on let’s get down to the real gist. How grammatically correct an article title is will to a large extent determine how people respond to it when it shows up on search engine. I can bet you that grammatically incorrect titles will suffer lack of views. The major area most bloggers mess up so well is the capitalization of titles and headlines. For emphasis, it is incorrect to capitalize articles (a, an & the), coordinating conjunctions (and, but, or, for, nor etc) and prepositions fewer than five letters (on, at, to, from, by etc). But the first letter of nouns, adjectives, verbs, adverbs, pronouns and subordinating conjunctions (e.g. as, because & that) can be capitalized. Keep your blog post title simple and short. Don’t make it a sentence. If possible, stick to 8 to 11 words. A good example is this post, “How to Write Blog Titles that Get Thousands of Click.” Some of the reasons for doing this is to make it easily discoverable on the internet. When people go on search engine to find out something, a good number of them position their search in the form of a question. So to grab the attention of these prospect readers, your article title should be in the form of a question or answer to it. Favourite places one can go to know what people are asking for include: Facebook group, Quora, Google search etc. Armed with these information, you can go ahead to tweak your headlines and titles to improve your website traffic. Keywords in domain name, title, headline, sub-headline and within the content help online entrepreneurs to increase their global ranking. By all means, focus on your niche. Don’t write misleading posts. Don’t try to be poetic when it is totally out of place with your blog niche. The first title that landed on your mind may not always be the best, put it to test. Visit authority blogs in your niche to see what their most popular posts are like. Blog posts having high number of social shares and page views will most likely be have unique titlesu and headlines. Use odd numbers like Top 3, Top 5, Top 7, 5 Ways, 11 Reasons etc. If you apply all the strategies outlined in this post nothing can limit you from doubling your site traffic.